At Camp Bow Wow Parker, we believe every dog should have a loving fur-ever home. We work closely with local shelters and rescues to help with their adoption efforts, and often have foster dogs staying at Camp. These dogs get to play all day with other Campers, snooze the night away in individual Cabins, and get lots of love and attention from our Certified Camp Counselors®. Personality: Hi! Besides being adorable, I am also a cuddly, happy and sweet young man. I LOVE all other dogs and am very playful. I am super affectionate with my human guardians as well. 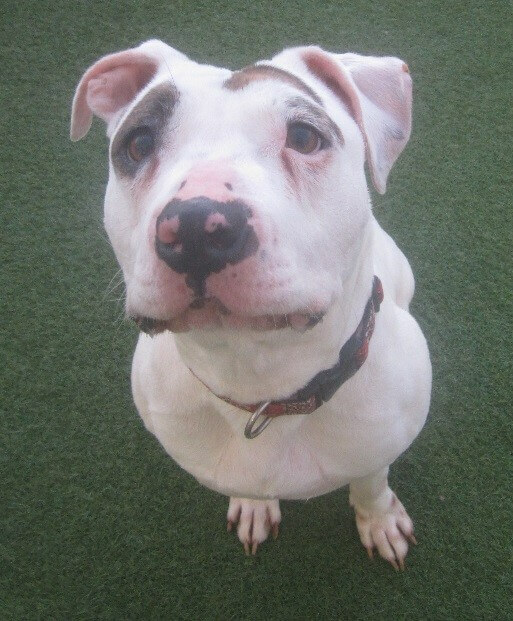 Since I am deaf, I need a guardian who will understand the limitations that come with being deaf, but more importantly, who will understand that I am still a fun, silly dog that is full of potential. Am I your next best friend?? Apply today!! How to find out more information: Visit www.snowcappedshepherdrescue.org or contact them at (303) 805-9739 for more information.